According to Kleenex®, hands are "only as clean as the towel used to wash them." Isn't that the truth? When Lynzie and I went shopping for Kleenex® Hand Towels at Walmart today, we were on a mission to find a few items to help prevent germs in our home this flu and cold season. You can read more about our shopping trip in my Google+ album. Unfortunately, our store did not carry the bundle packs we were looking for, but we did find this pretty box of hand towels very easily. While we're not going to be able to afford disposable hand towels on a regular basis for this family of 11, it's good to know we have this easy option during a time of year when illnesses spread easily. Kleenex® Hand Towels are great for the kitchen, utility room, and bathroom, but I think we'll use ours in the bathroom most often. We don't have anywhere to keep the box in the kitchen or utility room but it looks great on our bathroom counter! In addition to our hand towels, Lynzie and I picked up a few more things to help fight the battle of the bacteria in our home. One of the very best things we can do to fight germs is to use a good hand soap regularly. 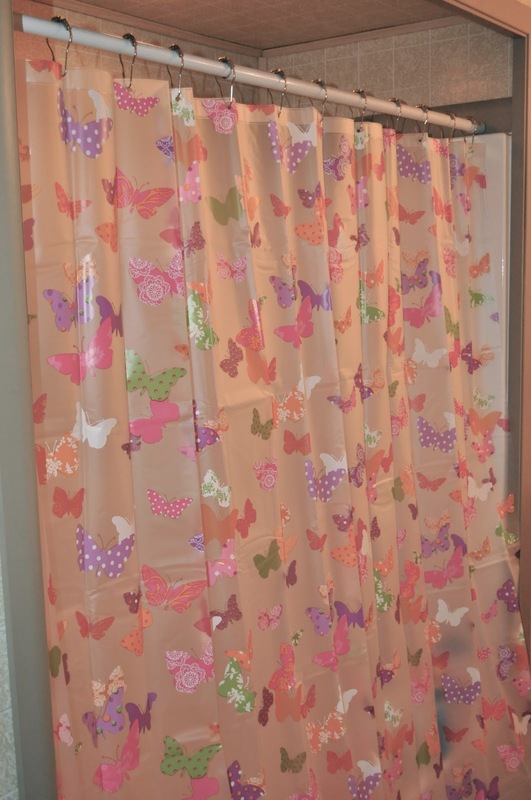 We chose one for the kitchen and one for the bathroom. 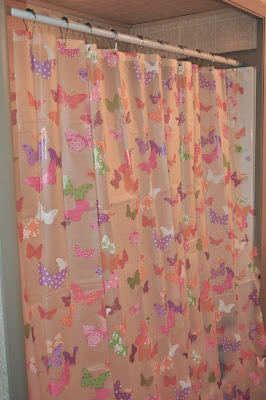 Old shower curtains harbor a lot of bacteria so we bought a new pretty one for Spring. It's also important that our cleaning tools are in good shape. I use a new toilet brush every time I clean the toilet. At less than $1 each, this is an expense I'm willing to deal with for the sake of keeping things less germy. Kleenex® has been a trusted brand for me as long as I can remember. I rely on the good quality, affordable price, and large selection of products Kleenex® provides. I'm glad to know there's a trusted alternative to bacteria-friendly cloth towels when I'm worried about germs being spread in my home. What Blesses Your Husband? Find Out! Feather your Nest Friday, 26th April, 2019.